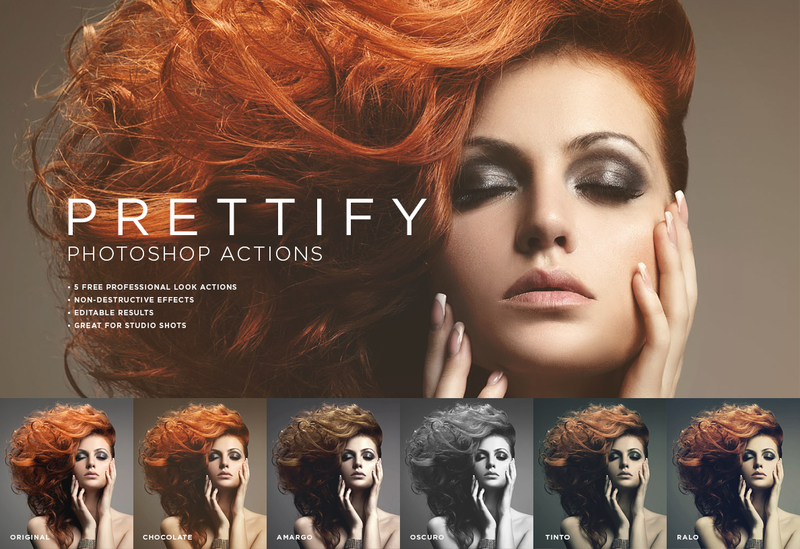 Prettify photoshop actions pack contains 5 free professional look actions with non destructive effects. You can edit your results. These are fabulous for studio shots. Actions include chocolate, amargo, oscuro, tinto and ralo.